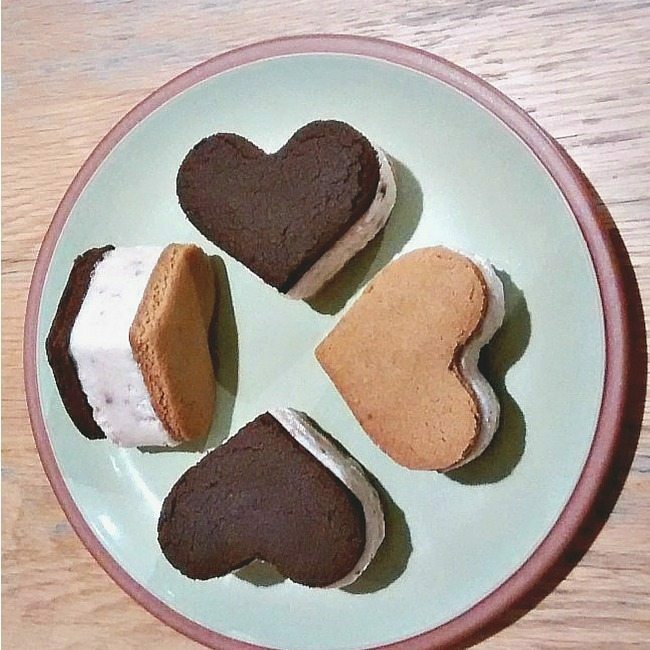 It may be a bit cold outside to be thinking about ice-cream in February, but my girls decided these Valentines Biscuits were the perfect thing to do with our freshly made EasiYo yoghurt and couldn’t wait to try their recipe out – I think we might be doing them again for Valentine’s Day. 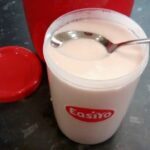 Make the EasiYo yoghurt a day or so in advance (really simple - just add sachet to water, shake and leave in EasiYo yoghurt maker overnight). To make the biscuits, first pre-heat the oven to about 175 degrees C, 160 for a fan oven. Weigh out the butter and sugar into a bowl, and mix until light and fluffy. Add the golden syrup and continue to mix until well combined. Gently mix in the sieved flour and baking powder (and cocoa powder if using). Roll out the dough in one piece to approx 1cm thick directly onto a piece of baking paper on a baking tray. It spreads in the oven, so don't worry that this seems quite thick. 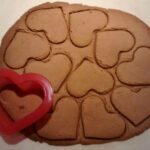 While still on the tray, so the biscuit slab doesn't cool before you've cut the shapes, carefully cut out your biscuits using a heart shaped cutter (or whatever shape you'd like your sandwiches to be) getting as many as you can out of the slab. Put these on a rack to cool. 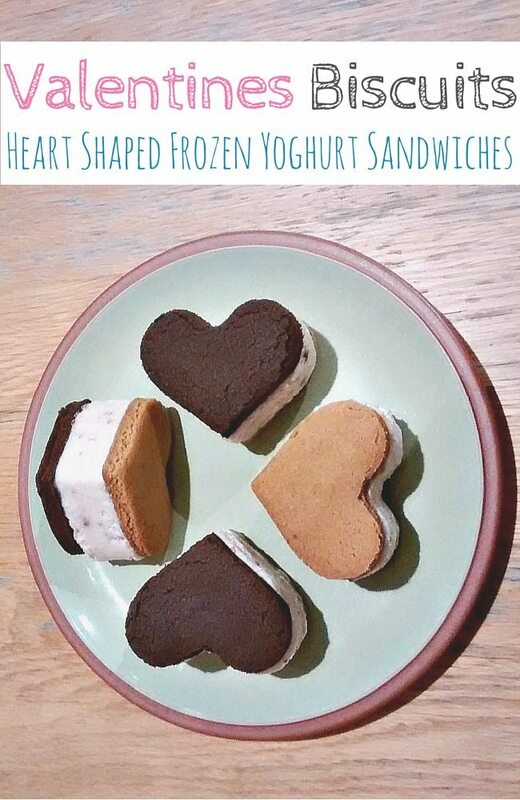 Once the biscuits are cool, take the same cutter, cleaned of biscuit crumbs, put it on a piece of baking paper on a flat surface and fill it with frozen yoghurt. Press this down so it's packed nicely together and flat on top. 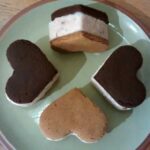 Place a biscuit upside down on a plate and gently press the frozen yoghurt out of the cutter directly onto the biscuit. Top with another biscuit, the right way up, press gently together and there you have your sandwich :-) Repeat steps 11 & 12 (&13!) as many times as necessary. Eat quickly before the yoghurt melts - and don't make them in advance! !